There are signs that a complete transition to online-based learning could be on the horizon. In a survey it has been found that the past four years has seen a rapid rise in students interested in online learning. Offering online degrees and diplomas is something everyone inevitably have to do if demand continues to increase. There are many advantages an online course has over the standard campus based education. Scalability: During the conventional set-up, if you want to increase the number of students in a class, you need to move to a bigger classroom. Or in all likelihood, revamp the infrastructure. With an online classroom, scaling up the course batch size is a few clicks away. Self-paced: Many a studies have found that people have different learning styles, and pick up new concepts at varying paces. Self-paced courses allow one to study and learn at their own leisurely rate. Removal of other constraints: People currently in the workforce have very few options for pursuing their academic interests that fit into their work-schedule. Online courses can help mitigate and remove all such systemic barriers, thus truly making education a universally available resource. Variety of programs and courses: From standard four-year program universities to completely online career colleges, higher education is offering a wide range of options for students. This means that no matter what students wish to study, they can find online the courses or degree programs or the diplomas they need. Lower total costs: Online programs can be a more affordable option than standard campus based colleges. For example, there are no travel costs, and often there are also not any required course books because those are often available for free online. Students will not have to fight traffic, find parking spaces, leave work early to go to class, or miss important family time. More comfortable learning environment: As there are no physical class sessions, lectures, course materials are electronically sent to the student. Convenience and flexibility: Online courses give students the opportunity to plan their study time. Students can study and work whenever they want. Since course material is always accessible online, so there’s no need to schedule special trips to a library either. All of this makes online learning a good option for all those who are employed and who need to balance their work and family commitments while taking themselves to the next level of career. More interaction and greater ability to concentrate: Most of the online learners have shared their opinion that online courses are easier to concentrate on because they are not distracted by other students and classroom activity. Online courses offer shy or more reticent students the opportunity to participate in class discussions, or chats with more ease than face-to-face class sessions. Career advancement: Everyone who is employed can take online courses and even complete entire degrees while working, while in-between jobs, or while taking time to raise a family. Also, earning a degree can show prospective employers that you are ambitious and want to remain informed and prepared for any new challenges. This academic degree and diplomas will help in any discontinuity or gaps in a resume as well. Avoid commuting: Rather than missing important class sessions during snowstorms and thunderstorms, or you run the risk of getting hurt in dangerous driving conditions. Students in online courses can always “attend” by participating on discussion boards or in chat sessions, turn in their work on time. Improve your technical skills: All online courses require technical skills, as students learn to navigate different learning management systems (LMS) and programs. Transfer credits: Students will be able to earn college credit while still enjoying their vacation or fulfilling the responsibilities of their seasonal jobs. 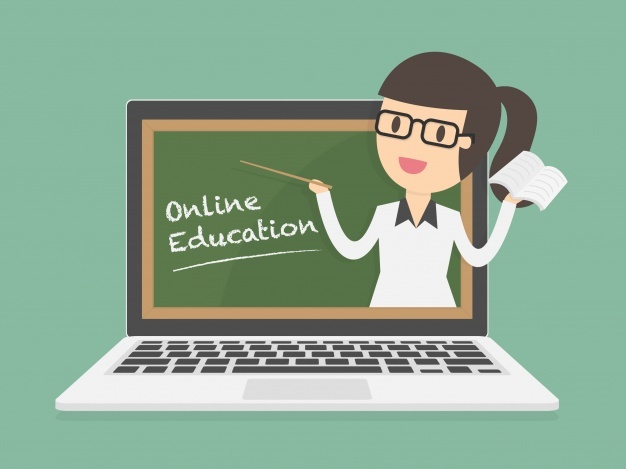 Is Distance Learning Education Easy?